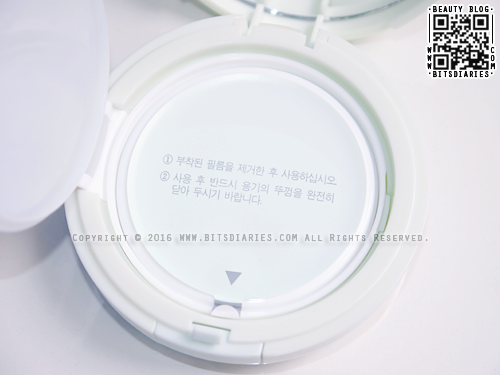 It comes in a cushion compact and is quite bulky compared to the newly launched Etude House AC Clean Up Mild BB Cushion, which I did a review a few weeks ago. 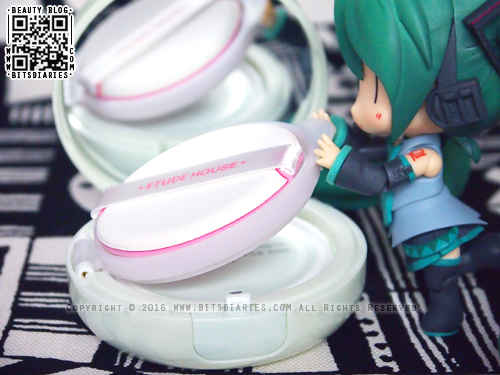 Each cushion compact comes with a built-in mirror and a pink air puff. 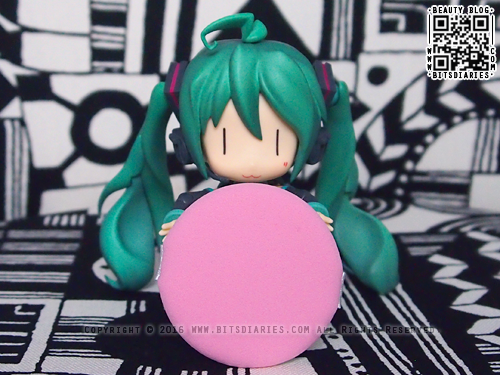 And like other cushion compacts, it also has an inner lid where you can place your air puff. 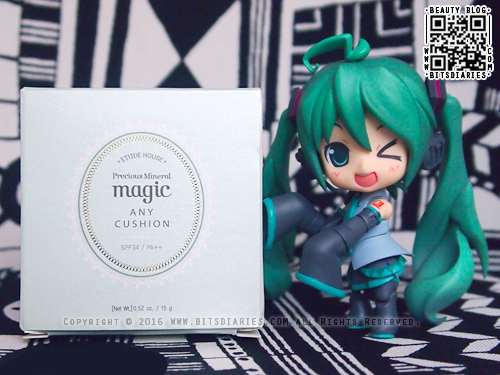 A brand new cushion compact is sealed with a sticker to maintain the freshness. After removing the seal, the cushion only takes a few presses to get soaked. Gently press the cushion using the provided puff and apply it onto the skin using a patting motion. Note: Just a little is enough to correct and balance your skin tone. Take note that piling too much of this cushion will make you look ghostly pale. It has a moist texture and a delicate fragrance. 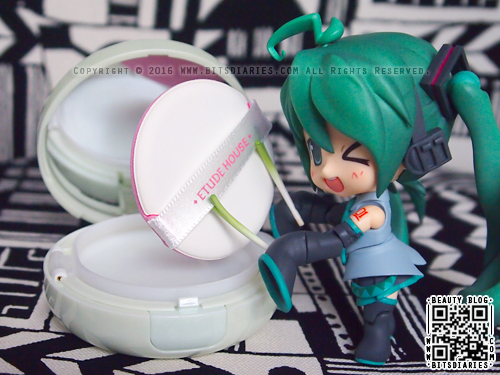 It gives a cooling sensation immediately after applying, and it feels lightweight on the skin. For your information, I have been using this for about a year now. So far I enjoy it! It doesn't provide much coverage on blemishes or redness, but it corrects and minimizes redness nicely. I find it hydrates my skin and brightens up my skin tone, giving my skin a dewy and even-looking complexion without looking cakey. Here's the comparison with and without applying Magic Any Cushion Magic Mint under foundation/bb cream. 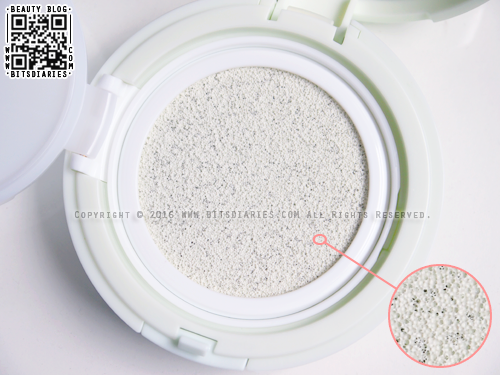 As AC Clean Up Mild BB Cushion has more of a yellow undertone, it works well with Magic Any Cushion Magic Mint in balancing white and yellow (skin color), so my skin doesn't look ghostly pale after application. I have to say it primes my skin really well for foundation/bb cream without irritating my skin or causing breakouts. I find it is average in terms of oil control as my skin still get oily in the mid-day. And in terms of longevity, it is pretty decent. The only complaints I have about this product are that it has the tendency to settle into fine lines and make skin look pale. Overall, I think it's a great color correcting primer. It does what it promises to do. If you have red, dull, oily or dry skin, you might consider giving it a try. P.S. 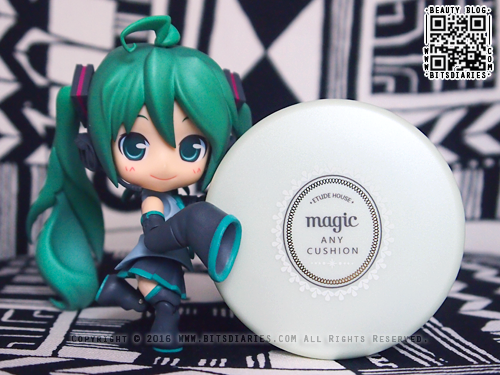 For MAGIC MINT, I recommend it to people with light skin tone. For people with tanned skin tone, you might want to avoid this color because it will make your skin look unnaturally white.